So far, Cathy and I have photographed and identified 13 12 different species of butterflies around the beautiful island. Our identification book lists 133 species so we obviously have a long way to go! NOTE: We have identified a few more than 13 12, but the quality of the pictures were not quite good enough to be on this blog’s dedicated butterflies page, which will be added on in the future! good luck on your quest. I told Han this fact before and he told me it has to be a lie he doesn’t believe it 🙂 So help me prove him wrong! They are great butterfly photos. I love taking photos of butterflies but as you hint, they are incredibly elusive. It’s about a dozen attempts for every good photo. But the good photos are worth the effort. Keep up the stalking, clicking and cataloguing. Catherine – my book simply lists the 133 most common and easily identifiable species of the 400 or so that live in Taiwan. I am making progress though! I have #14 on my SD card as of this morning! 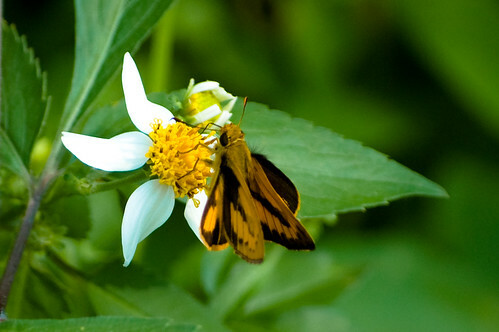 sfewings – I also have about a 1/12 ratio of good shots to duds when I go out shooting butterflies. I’ll add Chinese common names and locations of where they were photographed in the next week or so. Catherine – I have two 1 gig cards, luckily I haven’t had any space problems since I started shooting RAW because I haven’t been on any long trips. I still have to visit Jade Mountain Nat’l Park. I would love to take a weekend trip there soon.